It is here where you will find stories from past months. We have had our last scheduled DimeStories meeting. Who knows what the future will hold, but for now, we are on hold. You can come back to this site to listen to stories from San Diego and Albuquerque. Or re-listen to some of your favorites from Orange County. A huge thank you to Nancy Milby for allowing us to use her space both here and in Laguna Beach. It’s been a fun ride. Thanks to all of our story tellers and listeners. You have brightened our days and enriched our lives. We hope we did the same for you. I am duplicating our stories and putting December here to join the archived stories. So here they are, our favorite stories from December. There are 5 because the 1st and 3rd place favorites were tied! Enjoy these stories, and check out some of our older ones in our archives. Enjoy our three favorite December DimeStories. As everyone got votes this time, and there were lots of ties, we decided to share all 8 of our stories with you this month. Our favorite story was “Finding Doric” by Pam Tallman. Her story was a cautionary tale of sorts about when the TSA noses around in your luggage. and Cindy Berg with “Staying Alive” a story about what happens when our parents get old and stop being the people we knew, and how it affects us. Nancy Grossman-Samuel – Michelle Obama is a What? We have four favorites for you from March. We apologize for taking so long to get these to you. 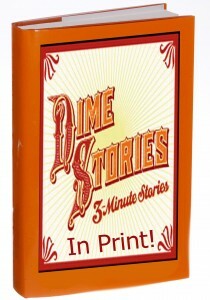 Again, join us on February 12th for our next DimeStories open mic. As always, sign-ups begin at 5:00 pm, and we begin readings at 5:30 pm. Here are our favorites from November. We had 10 readers, and you get to hear five of them here. So to get everything (especially the great company and conversation before our readings and after), please join us on Sunday, January 8th, the first 2017 DimeStories of the new year. Please let us know if you have any upcoming publications (articles, books, etc), or things we might enjoy like seeing you in a play – or watching a play you directed or wrote. You can let us know that by writing to OCDimeStories@gmail.com (case not important). And now – our favorites! Niina Satola, "An Open Letter to the Wasp Trapped on the 71v"
Pam Tallman, "The Christmas Gift"
Terry Black – Putting the “X” back in Xmas. Nancy Grossman – Tidying Up – Life Changing. We took a break in March, so the next group of stories to hear is from April. Because the voting was so close, we have 5 favorites to share with you! 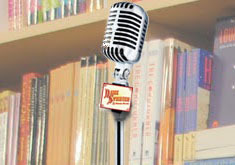 Laguna Beach DimeStories Open Mic takes place the Second Sunday of every month! A New Year and we have 3 new stories for you! Next month – February – will be our last month in Laguna Beach. We are moving to Costa Mesa (because our venue is moving – not because we don’t love Laguna Beach). We hope that those of you who live in Laguna Beach will brave the wider world and join us, and we also hope that those of you who were not brave enough to fight the Laguna Beach traffic will now come and visit us. More info on the address and directions later – in the meantime – enjoy these stories! Because of ties again, we’re presenting 5 selections – enjoy! A first for us – a three way tie for the favorite! Our 3rd Favorite with a very close 4th! NOTE: audience torn between Liz and John’s stories…. so we have a tie. Why did I enter this room?